How do you want us to release new product updates? Something I’ve struggled with over the years is how we release new products and updates to existing products in a way which is fair to our customers without financially shooting ourselves in the foot. We don’t follow the typical industry cycle of having ‘model year’ products which are replaced on a yearly basis. Often these ‘updates’ are for no other reason than a colour change or minor spec change which is enough for the marketing department to yell NEW, NEW for a few Instagram posts or use a grandiose hashtag like #gamechanger. Instead we bring out new products when they’re needed, and we update our existing products when we’ve got something meaningful to add to them. But how should we release these updates? Typical industry approach is the Monday Morning Drop where the new version is released on Monday morning without any warning. From a business point of view this is the smartest: We sell full-priced product with normal demand right up until the new is released. From a consumer point of view I think this is the worst approach and it drives me nuts on a personal level. If you purchased the now old version on Friday afternoon then, well, too bad sucker! The second option is Warn and Discount. Here we warn you of an upcoming iteration, and discount the current model. As a consumer it’s your choice as to whether you want to wait and pay full price for the new, or get a deal on the soon to be outdated. 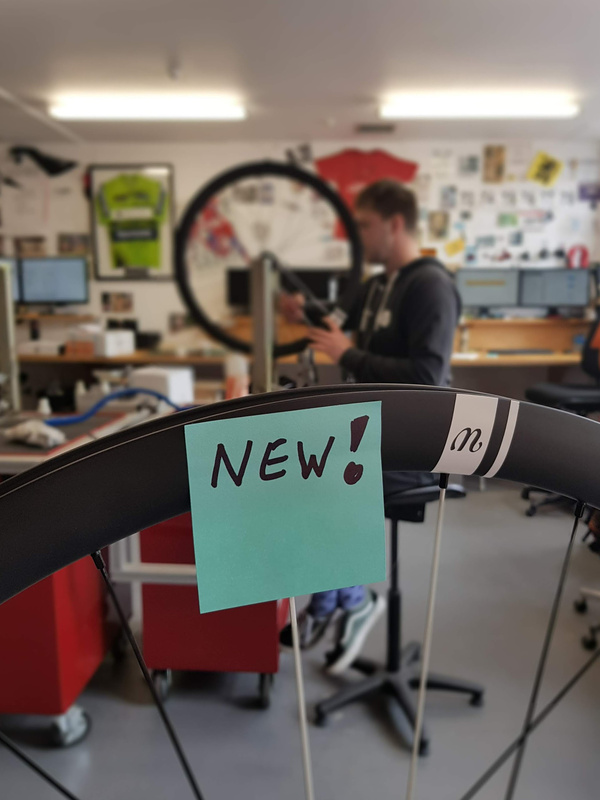 This used to be standard in the bike industry but as product cycles got shorter and margins got reduced it’s occurring less and less. New bikes used to be released at Interbike in September but not available to buy until the following February! The business economics behind this are tough: by showcasing an upcoming product we diminish the demand for current-model stuff (thus making less money) and are forced to discount to build that demand back up (and thus make even less money) while hoping that you lovely cash-paying customers will hold onto your wallets and not spend that money on (a) a competitors product (b) a different component for your bike (c) a holiday with the Mrs / Mr before the new version is released. So what should we do? Is there a blend of the two approaches? As a consumer what do you want to see from us? Where are we at with Road Tubeless? How about warn and don’t discount? Do you believe in the value of your current offering? Unless you’ve discovered a previously unknown fault with it (in which case offer retrospective discounts to all buyers) that value is intrinsic. Don’t believe that it’s reduced in value just because there’s a new kid on the block. Otherwise you devalue the customer who just bought the day before you discounted. Be honest when someone asks for the old product, let them know a new one’s on its way, but you still believe in the old one just as you did yesterday when you sold it to another customer. If the new one is demonstrably better then it should sell at a higher price. Wheelworks have never had sales or offered discounts (the occasional demo models aside). Thanks Andrew – great balance of the two approaches! The warn and discount in my view only works well if the consumer is aware of what the new model is going to bring and in many cases the consumer isn’t told, this is probably from a business perspective of protecting competitors from beating the market product drop etc. From a consumer perspective I sit here wondering if the new model is going to meet the needs, or do I settle with last years model at X discount will do what I want good enough… or will the new model bring nothing new except a cool new colour and sticker?! The Monday Morning Drop drives me nuts as a consumer…it’s not something I’m keen to implement for Wheelworks! Historically we’ve done a terrible job of announcing product updates…we just roll them out and don’t tell anyone.